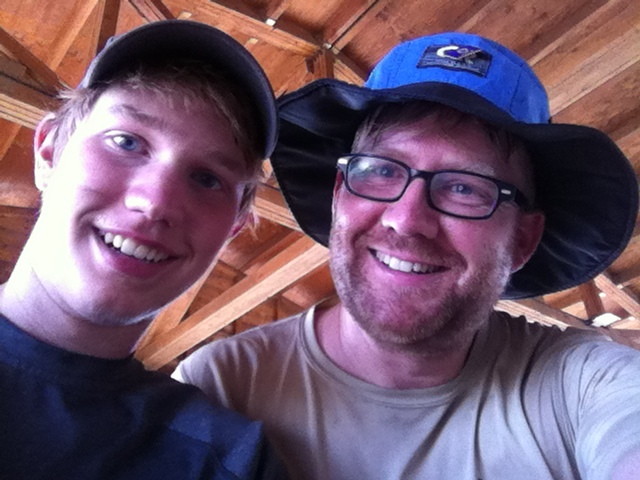 This month I was greatly blessed by the opportunity to serve as an adult advisor on my son’s first backpacking “high adventure” trek to Philmont Scout Ranch in northeastern New Mexico. We spent 11 days and 10 nights on the trail, and I probably lost somewhere between 5 to 10 pounds on the journey! 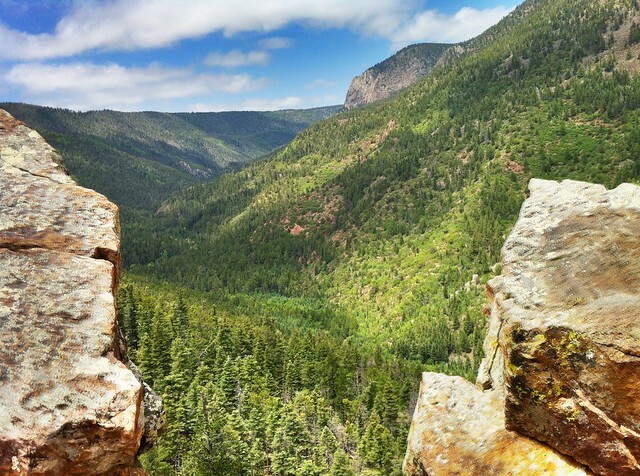 In this post I’ll share a few photos and some of the ways I was a “storychaser” of our adventures using my iPhone in the Philmont backcountry. All 212 photos from our trip are included in this Flickr collection, and 7 of the 8 videos I recorded are chronologically connected in this 4.5 minute video I uploaded to YouTube. The number one reason I wanted to use my iPhone4 as my camera at Philmont, instead of a battery operated digital camera, was its ability to take HDR (high dynamic range) photos with the Pro HDR app which Dean Shareski told me about several years ago. I absolutely LOVE this app and the high quality images it enables me to capture. Especially in the mountains where landscapes have dark shadows as well as bright sunshine and clouds, the HDR app is priceless. 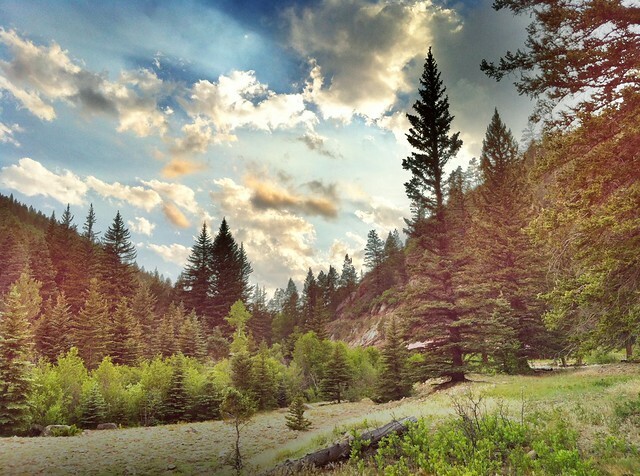 Here are a few of my favorite HDR photos I captured on our trek. Alexander by Cathedral Rock, on day 2 of our trek. Looking down the mountain at surrounding clouds and storms, climbing Mount Phillips (11,700′ MSL) on day 4 of our trek. Sunset at Fish Camp, which is where Waite Phillips (the Tulsa oil man who donated the 127,000 acres which comprises Philmont in 1938 and 1941) built his favorite backcountry cabin. View from “the notch” overlooking Rayado Canyon, between Fish Camp and Abrehu. Alexander on top of the Tooth of Time on day 11. The other iPhoneography app I really like on my iPhone4 is Pano, which takes great panoramic images. It’s incidentally also available for Android and Windows 7 phones. Here are a few of my pano shots from Philmont this month. Having breakfast on top of Mount Phillips on day 5. On the porch of the staff cabin at Cimarroncito Camp on day 2. Panorama (almost 360 degrees) on top of the Tooth of Time on day 11. Since we were on the trail for 11 days and did not have ANY access to electricity, I needed a way to use solar power to charge my iPhone. (I could have opted for a battery charger, but I didn’t want to carry all the extra battery weight.) I purchased a $35 G24i Solar Innovations Power Curve Solar Charger at Academy Sports before our trip, and was pleased with the performance overall. It came with a USB female plug which I could directly use with my iPhone USB dock charging cable. The Power Curve has a rechargeable battery built into it, so I would charge it during the day and then recharge my iPhone at night. I generally was able to get a 30% to 40% charge of my iPhone4 each night with a full solar battery charge. Near the end of the trip during the day I got down to less than 10% battery at some points, but I was able to boost the iPhone battery enough that I was able to take all the pictures I wanted. I did turn the brightness down to almost zero (probably about 15% of max brightness) for the entire trip, along with turning on airplane mode to conserve battery. 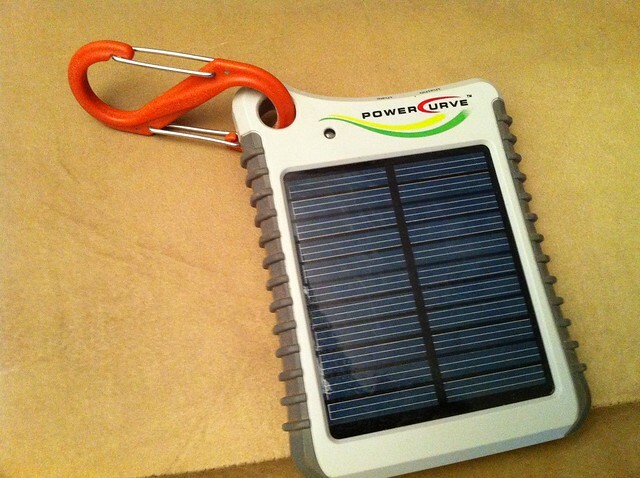 According to the instructions, the solar charger needed 6 to 8 hours in direct sunlight to become fully charged. I found this was not possible when the charger was just hanging on the back of my backpack on the trail. I needed to set the charger in direct sunlight at camp for many hours each day, when possible, to obtain the maximum charge available. I was able to make a couple calls at different points of our trip, mainly on top of mountains and high ridges where cell phone service was available. Since the Oklahoma City Thunder was in the NBA finals during our trek, it was ‘critical’ (in the minds of several of our boys) to get score updates. Overall, however, I was ‘unplugged’ from the grid for almost two weeks and really enjoyed it. Since I had my iPhone, instead of keeping a written journal during our trek I decided to make an audio journal using the free app AudioBoo. (In addition to iOS, AudioBoo is also available for Android and Nokia phones.) I recorded a short audio journal entry each night before bed, and selected a photo from the day to accompany it. After getting back home to Oklahoma City, I uploaded all of those AudioBoo recordings to the web. This worked great and is an audio journal option I highly recommend to others taking trips you’d like to document. I came very close before the trek to buying a Spot Connect satellite GPS device which would allow me to tweet from the backcountry with our updated GPS coordinates. Our Philmont ranger told us these are discouraged in the backcountry, because of the possibility of accidentally hitting the “panic / come rescue me” button and inadvertently calling in a rescue helicopter. It’s possible in the next couple years my son and I may go on another high adventure trek canoeing in the Minnesota / Canadian boundary waters. If so, I might again explore that option. 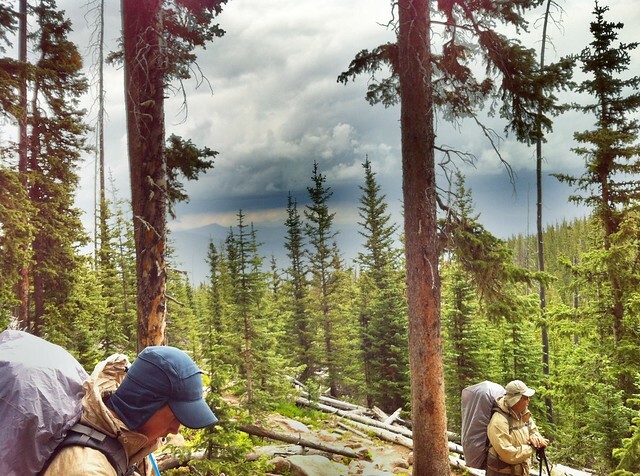 As it turned out, it was great to be largely disconnected from technology and information during our trek, and the option to “tweet from the backcountry” might have been more of a distraction in our journey than it would have been worth. If you ever have an opportunity to go on a backpacking trek to Philmont, I highly recommend that you go. I went on a trek with my scout troop from Manhattan, Kansas, (Troop 74) back in 1986, and was a Philmont “zoomie” ranger in the summers of 1990 and 1992. 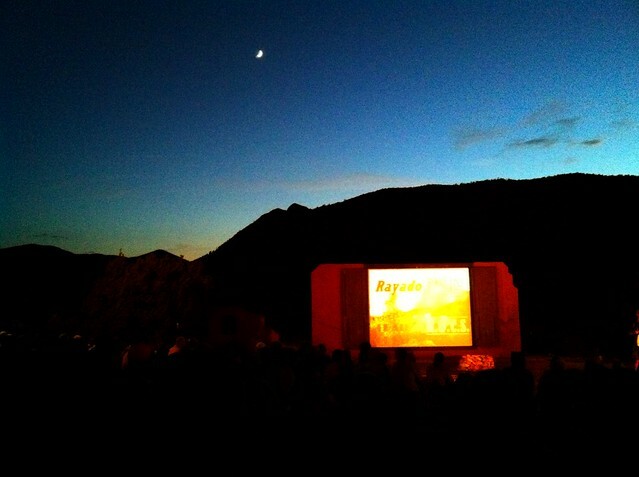 Philmont is a truly magical place and it casts a spell on you that will last a lifetime. It was a tremendous blessing to be able to share these experiences with my son this summer! This trek was, by the way, the reason I was not able to attend ISTE 2012 this year. Next year I definitely hope to attend ISTE 2013 in San Antonio. To learn more about my favorite iPhoneography apps, please see my iPhoneography workshop curriculum. An hour long videoconference I taught on iPhoneography in December 2011 is also available free on YouTube. 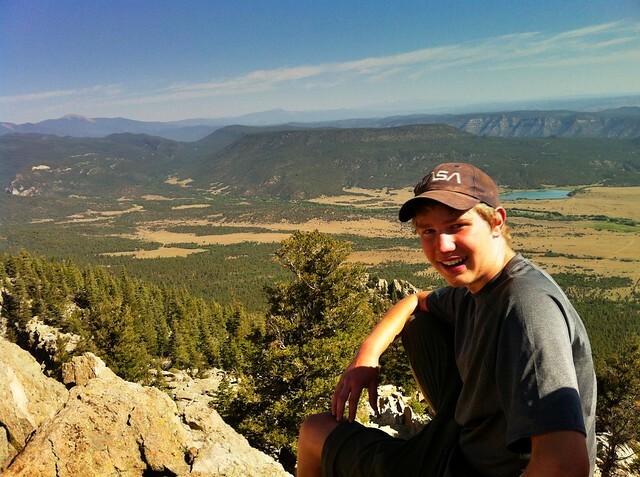 Philmont is an amazing place! I went with my troop as a co advisor in 2009. We went to the Northern Tier in 2011 and are set to complete the trilogy with the Florida Seabase next year. If you get the chance to go to the Northern Tier definitely do it, it’s an amazing trip, I would go back in a heartbeat. I loved how used tech to document your trek. Awesome, my son, myself and eleven others with Troop 35 (Dallas) leave for our trek on Sat. I have a 3g and plan on taking a 35mm, though the audio may dictate that I bring the phone. My oldest and I did the Atikokan canoe trek several years ago. In many ways, as an adult, it exceeds Philmont. You have a captured audience in your canoe all day and end up with quality time unlike any other. If you go, you must ensure your gear is waterproof. Though we didn’t one of our group swamped within the first hour of our trip. First trip Journal of the year! Thanks for posting. Really enjoyed the pictures, audio, and comments. From the picture of your son on top of the Tooth, I take it that you decided to make the trip from the stockade, well worth it, but tough I’m sure. Was scheduled to go out in July, but medical issues prevented that this time, will try again in 2014. So trip journals such as this are as close as I can get, Thanks again for postin. 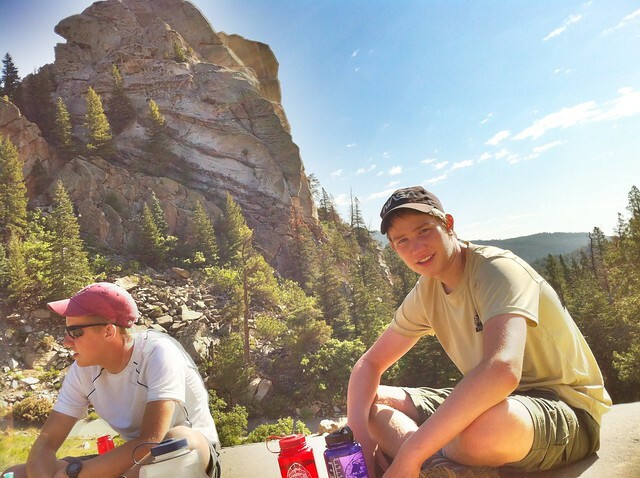 We actually opted to NOT go up the Stockade trail, which (as you may know) is one of the toughest at Philmont… esp with packs… and instead took the advice of a former staffer at Urraca who I talked with at Fish Camp. We ‘meadow crashed’ along the valley a bit until we hit the pasture trail, and then took it up to tooth ridge. We dropped packs and took our smellables so we could put up a bear bag at Tooth Ridge camp, then climbed the Tooth itself. Much better option than the Stockade trail IMHO. Still a long day, but it worked out well. We did see two different rattlesnakes on the Pasture Trail, so that was exciting. Thankfully both were seen early and no one was bit. “Largely disconnected from technology and information?” I am gobsmacked by that comment and the one about hearing “the sound of freedom” when a B-2 stealth bomber flies over the wilderness. But let’s take a positive approach: good that you didn’t tweet. Seeing two B-1 flybys (on two successive days) over the course of a two week backpacking trek doesn’t strike me as being “connected to technology and information.” It was certainly a reminder that we weren’t TOO far away from civilization… but it really didn’t constitute a ‘connection’ to technology. If you follow my ‘normal’ Twitter stream, it should be apparent that this WAS a radical departure from my ‘normal’ state of connectivity. Thanks for all the great pictures and video Wesley. 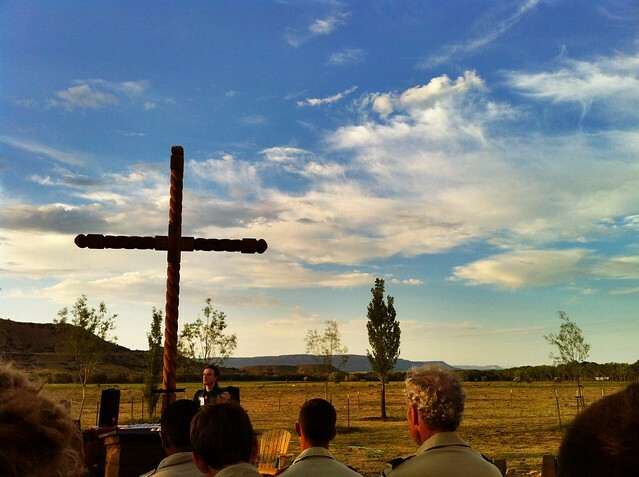 My husband and son went to Philmont last summer with our scout troupe and just loved it. It was a real bonding experience for them, and they still talk about all the fun they had there.